Everything in our lives viz. the financial situations, love life, health, social relationships, emotional well being etc. are controlled by the beliefs present in our subconscious mind. Our subconscious mind is like a powerful computer which controls all our behaviors and thoughts based on how it is programmed. The beliefs that program our subconscious mind were formed during our childhood through direct or indirect exposure to various ideas. It is still possible to alter these limiting beliefs in a way that it will improve our lives, but it becomes a very difficult task after certain age since our conscious mind acts like a gatekeeper to every suggestion we pass to our inner mind. Our conscious mind restricts the new information from reaching the subconscious mind, but there are ways using which we can do it effectively and one such tool is “subliminal messages”. 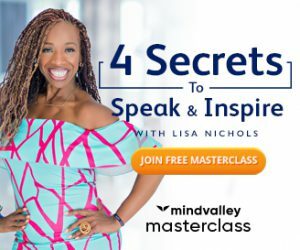 Here I will be discussing the subliminal affirmations software called MindZoom which promises to change your life by helping you to reprogram your subconscious mind. Remember I said that our conscious mind acts as a guard to whatever information we receive? Well, it seems like we have found some ways to fool this guard and subliminal messages are capable of doing that. The subliminal message is basically a suggestion that is passed to an individual in a way that he cannot see or hear it, but the information is received by his subconscious mind. This is a hypnotic way of passing a suggestion which has been used by advertisers for a very long time to make people attracted to their products. You don’t have to worry, no one can use this method to make you do unwilling things because we do have an inner protection mechanism. How good will it be if we could use these subliminal messages to communicate our intentions to our powerful subconscious mind? Well, the good news is that this is possible and MindZoom software is one such awesome product which helps you to do this. We fail to see the text messages if it is flashed in front of our eyes at a very high speed and since our conscious mind fails to register such messages they reach directly to our subconscious mind. So, this software flashes thousands of positive messages in front of your eyes rapidly and thus these subliminal messages can change your limiting inner beliefs. Another way in which MindZoom uses subliminal positive affirmation is with the help of a feature that sends audio suggestions to your mind by playing it at a frequency that you cannot hear. This software also gives you the option to mix these visual and auditory messages to make it even more effective. You can just start these subliminal affirmations on your computer and do other works without even bothering about it, these messages will sink deep down in your inner mind while you perform your usual tasks on the computer. You can also carry it in your mobile and listen to these audios (you cannot actually consciously hear it) while doing some other work. -Allows you to create your own affirmations. 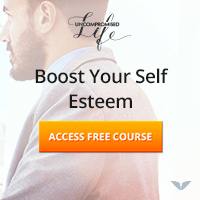 -You can choose the specific goal you want to achieve and receive thousands of related affirmations. -You can also convert your textual phrases to audio subliminal affirmations which will be received by your subconscious mind without you being able to hear it. -Enables you to easily manage the affirmations with the option to add new ones and delete old ones. -You can also choose the speed at which the messages will flash, if you will increase the frequency then it will not be much visible, but it will still work. -You can add it to the startup applications that will automatically begin working when you switch on your computer every time, configure it once and forget about it till you wish to change something in it. -Main component of this product is the MindZoom software that you can install on your computer to generate subliminal texts and silent audio affirmations. -A manual that will help you in configuring the program, in case you ever need it. -Plan book prepared by the author so that you could use the software the right way to get maximum benefits. -Software license for the use of program in four computers. -Free updates and email support. When I am writing this post, this product comes with the below-given bonus materials, however, they can change this with time so please check their website to know what they are offering at present. Audio subliminal programs – This is a specially created 40 minute audio that helps a person to clear the most common limiting beliefs that holds him back from succeeding in all the areas of his life. Brain elevation success kit – A research based tool which is created for helping you to use your mind like the most successful people do. Mind Reality – An eBook that contains information on the concept that the whole reality is mind constructed, a very good read for people interested in the workings of the mind. Mp3 Meditation Track – This audio meditation will help you to train your mind to think the right thoughts so that you could attract abundance in your life. 101 Power Affirmations – These are the sets of affirmations that you can use for getting better in any area of your life. 1150 Affirmations – Another book containing 1150 affirmations categorized in different groups so that you could use them according to your wish. MindZoom Subliminal Mixer – You can create customized CDs and sound files by mixing subliminal audio with any music or even binaural beats. This also allows you to record the affirmations in your own voice and then save it in different formats. This advanced tool helps you to optimize the audios for a quality experience. Subliminal messages are real stuff, I can assure that. These suggestions do have an impact on our subconscious mind and MindZoom is really an awesome program for magnifying the effects of positive affirmations. If you are someone like me who spends a lot of time working on the computer, then this is a very good application for you because by using it you can gain double benefits as it enables you to work on your inner beliefs while you are completing other important tasks on your computer. I didn’t like the quality of this program, considering that we are living in an age where technology has reached to the advanced levels; this product seems like a thing from the previous generation. Still, the utility of this product makes me to recommend it to you if you want to take your use of affirmations to the next level. It will take a bit time to see the results, so I urge you to use it regularly for some time before you expect any big change in your life. Usually, I always have to add the line “you have to put your serious efforts” in the bottom of the most reviews, but this product requires a very less effort from your side. All you have to do is to start it and just allow it to do all the work while you use your computer. To get more information on this product, you can visit the product website.